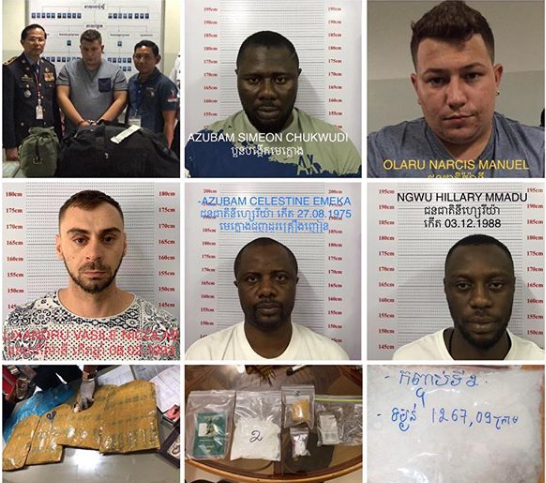 An operation between enforcement agencies in Canada, Japan and Cambodia has leto the arrested of the Nigerian ringleaders of a drug smuggling group in Cambodia. The arrest was made at about 9:15 am on February 06, 2019. OLARU NARCIS MANUEL, a Romanian man was initially caught with 4 packs of methamphetamine, weighing about 5 kg.